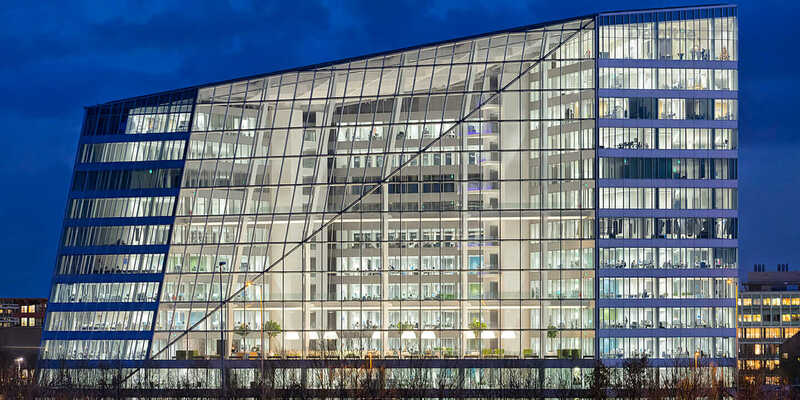 The Edge building in Amsterdam features Philips' Power-over-Ethernet connected lighting. Courtesy Philips Lighting. Everyone loves a good lightbulb joke. Whether the punch line is nuns or New Yorkers, the question of how many people it takes to change one tickles funny bones the world over. But that question isn’t as jocular to optical scientists, who point out that evolutions in lighting require many years—and many people—to execute. Just ask illumination engineer Jeff Quinlan, technology evangelist at Atlanta-based lighting manufacturer Acuity Brands. Meaningful advancements in light-based technologies are rare, indeed. 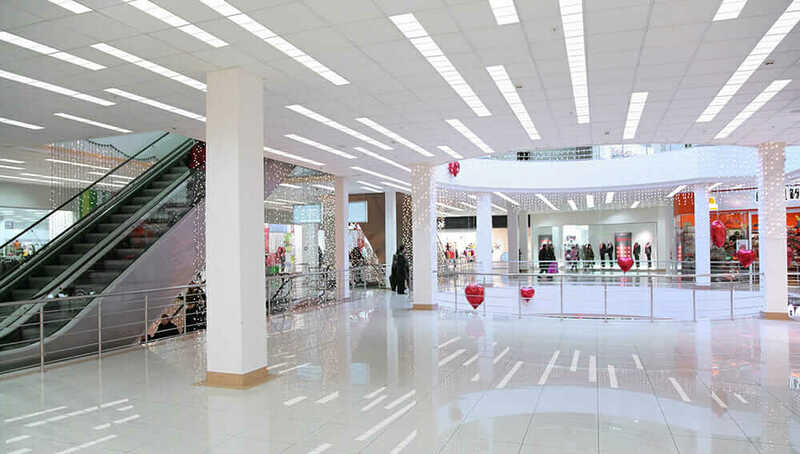 Acuity Brands’ retail lighting systems can be installed with indoor positioning systems, which use LEDs to transmit information to smartphones. Courtesy Acuity Brands. Unlike a traditional incandescent lightbulb, which passes electricity through a filament, a light-emitting diode (LED) passes it through a small semiconductor that lights up when it’s charged. The materials of the semiconductor determine the color of light produced. Red, blue, and green are standard, but combining all three inside a single bulb, illuminated at varying intensities, can produce virtually any other hue. 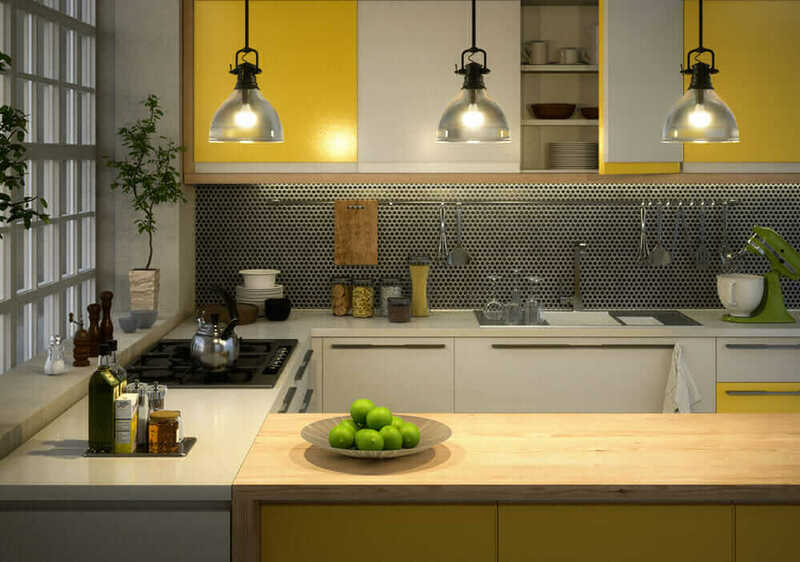 The science behind them is complex, but their benefits are simple: LEDs are smaller, brighter, and more flexible than incandescent bulbs, not to mention longer lasting and more energy-efficient. Plus, advances in microcomputing mean it’s now possible to attach tiny computerized controllers to LEDs. The result, according to Quinlan, is a tipping point in 21st-century illumination. ilumi smartbulbs start the day with cool tones and gradually shift to warmer tones to promote natural sleep-wake cycles. Courtesy ilumi. Lighting Up Your Life. Plano, Texas–based startup ilumi is among the companies putting cracks in the lighting paradigm. The company’s LED “smartbulbs” use Bluetooth low energy (aka Bluetooth Smart) to communicate with each other and a smartphone app, allowing them to be fully programmed, adjusted, and color-tuned with the tap of a finger. 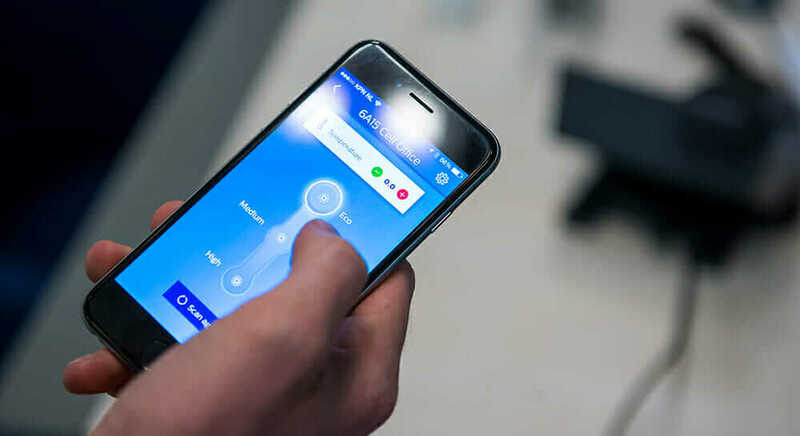 In offices equipped with Philips’ connected lighting systems, workers can use their smartphones to control overhead LEDs. Courtesy Philips Lighting. Smart Sunlight. Another LED pioneer is physicist Paolo Di Trapani, professor of optics at Insubria University in Como, Italy. More than 15 years ago, he began studying the physics behind outdoor light and color phenomena, such as rainbows and sunsets. Using light-scattering nanoparticles and LEDs, he duplicated the properties of natural sunlight in his laboratory to re-create outdoor optical phenomena indoors. From that discovery, he hatched CoeLux, which produces artificial skylights and windows that offer the same stress-reducing and mood-enhancing benefits as real ones. Beyond the Bulb. Because LEDs connect to a digital infrastructure, they’re ideal vehicles for other connected technologies—like visible light communication (VLC) systems, which use LEDs to emit modulated light signals that are imperceptible to the human eye but readily detectable by smartphone cameras. When such signals are received, they can reveal transmitted information, like modern-day Morse code. Visible light communication systems use LEDs to transmit product and way-finding information to smartphones. Courtesy Philips Lighting. Both Acuity and Philips have developed VLC systems that transmit indoor location information indoors, like GPS does outdoors. 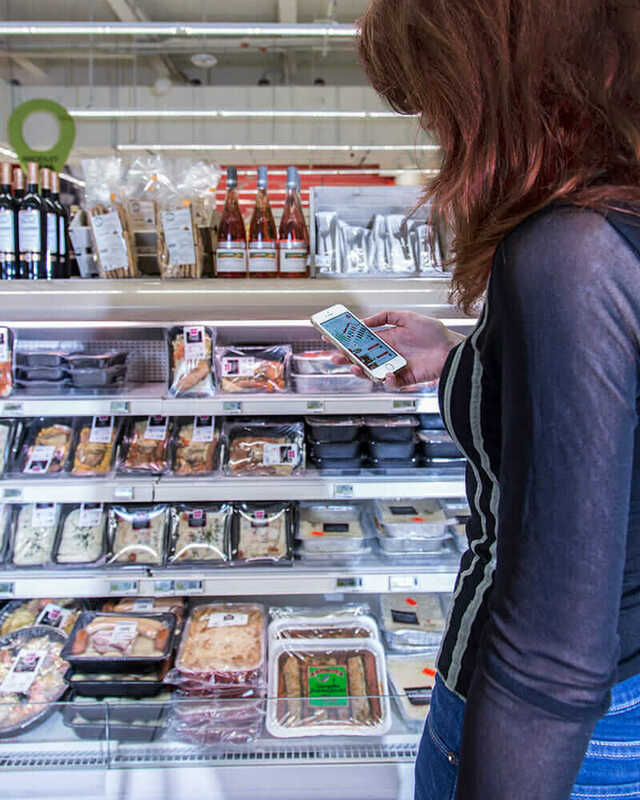 Overhead LEDs can tell your phone where you are in a store, where a product is, and then give you turn-by-turn directions to find it. The same technology could help you find a conference room in a convention center or enable shopping malls to optimize traffic in parking garages. A Bright Future. Next-generation lighting has profound implications not only for luminescence but also for architecture and design. “Connected lighting platforms will be able to understand who’s within a space, what they’re doing, when they’re doing it, and why they’re doing it—delivering a catered, contextually aware environment to users,” Egan predicts. Eventually, lights may cease to look like lights at all. Instead of accessorizing spaces, they’ll be fully integrated within them. 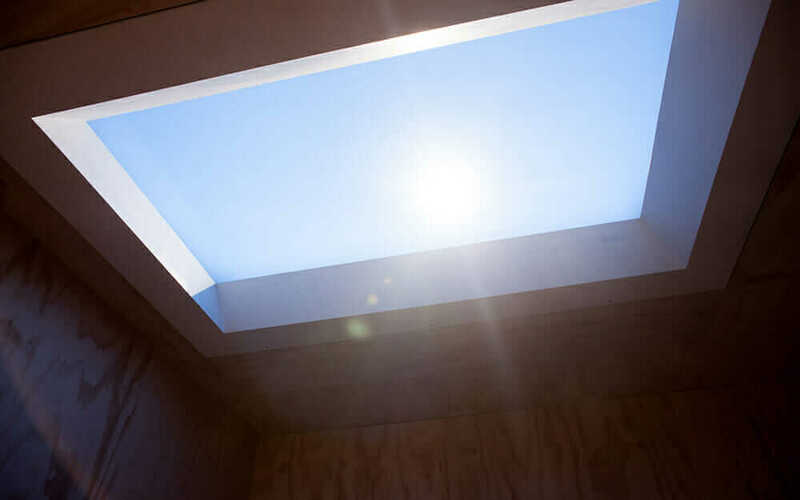 CoeLux’s artificial skylights mimic the properties of natural sky and sunlight. Courtesy CoeLux. The future of lighting has never been brighter. Literally.